It has been a pretty good year for the market, although not uniformly. While some stocks are roaring, others are struggling. A handful of the 30 Dow Jones stocks, in fact, are proving to be downright liabilities in an environment that has been largely bullish. While the Nasdaq is up nearly 20% year-to-date and the S&P 500 is higher by 15.5%, the value of the Dow Jones today leaves it lucky to be up 12.9% since the last trading day of December. 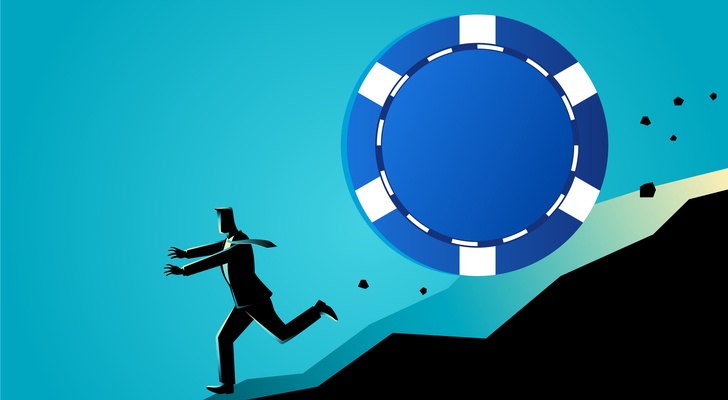 A relatively small handful of names are to blame, weighing the blue chip index down arguably more than it deserves. To that end, here’s a rundown of the 10 Dow Jones stocks doing the most harm to the old-school index. In some cases these names may be ripe for a turnaround. In others, their current weakness may be a microcosm of what’s to come. Tread lightly and thoughtfully if you wade into any of these picks on their recent softness. 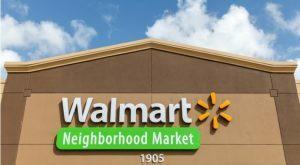 Walmart (NYSE:WMT) may be the king of brick-and-mortar retailing, and it has finally figured out how to compete with Amazon.com (NASDAQ:AMZN) on the e-commerce front. Last quarter’s online sales grew 43% year-over-year, extending a long-standing streak of double-digit improvement. The market has stopped rewarding the company for its progress, though. Reasons for the pause are debatable, but most investors are concerned about their sheer number. They include worries like Amazon’s foray into the grocery store business, a wage war with rival Target (NYSE:TGT) and the lingering impact of a tariff war with China. It’s a lot, collectively, to overcome. 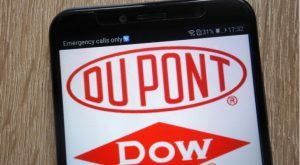 The spinoff of Dow (NYSE:DOW) from former parent DowDuPont (NYSE:DWDP) was a well-received idea, as was the spinoff of agrochemical business Corteva. While complex conglomerates at one time made for powerhouse companies, now they’re liabilities. Smaller is better because it facilitates nimbleness. Splitting operations out into their respective business not only unlocks hidden value, it lets investors enjoy more choice as to the kind of stock they want to own. And, as it turns out, DowDuPont has been pegged as the weak link, by analysts as well as by investors willing to follow analysts’ lead. It’s up a little for the year, but even on a split-adjusted basis it is still down 27% from its early 2018 high. To be fair, Merck (NYSE:MRK) may largely be a victim of its own success. MRK stock gained 36% over the course of 2018, and got 2019 started on a bullish foot as well. Its cancer therapy Keytruda is proving potent on more and more fronts, winning approval as a first-line option in China as a treatment for lung cancer just last week. The sheer weight of the gains, however, may simply be too much to overcome. The full potential of Keytruda may already be factored into the price of MRK stock, and then some. Underscoring the bearish argument is the recent, and relatively small, deal to acquire Immune Design for $300 million and the equally recent decision to issue $5 billion in bonds. 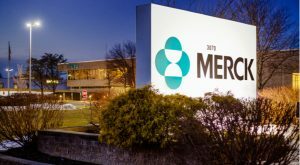 It’s not clear why Merck needs to take on debt — as cheap as it may be — and the interest in a small deal like Immune Design, which has struggled with R&D of late, implies the company may be struggling to refill its pipeline with compelling candidates. 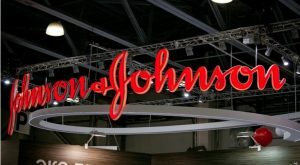 Rival drugmaker Johnson & Johnson (NYSE:JNJ) has fared a little worse than Merck, up only 6.5% since the end of 2017. The reasons for its weakness, however, are notably difference. Chief among its headwinds is ongoing legal wrangling with a group that claims they were adversely impacted by asbestos found in the company’s talcum powder years ago. Even if the fiscal liability is tamped down (and it mostly has been), the company’s reputation has been dented in the court of public opinion. J&J is also now being targeted as a key cause of the nation’s opioid epidemic. The implications of that matter are not yet clear, but none of them help boost the value of JNJ stock. In the meantime, the failure of its baby shampoo to pass a quality test administered in India readily reprises consumers’ and investors’ concerns. Verizon Communications (NYSE:VZ) was a champ in 2018, working its way out of a multiyear rut to make a move to multiyear highs. Fanning those flames is the fact that it led its peers in the race to 5G connectivity, unveiling its first ultra-high-speed internet connections to homes, without the use of actual wires to the home. 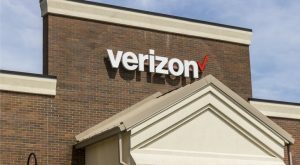 The underlying hardware may not be compliant with the industry standard that’s been agreed upon by companies developing the hardware to make 5G readily available everywhere, but clearly Verizon is setting the pace. Investors haven’t been as keen on Verizon’s 5G opportunity so far this year though, perhaps realizing there’s still so much heavy lifting to do before it impacts the top or bottom line. In the meantime, investors are increasingly wondering if the company’s decision to double-down on web presences like Yahoo and AOL were misguided. At the end of last year the company booked a $4.6 billion charge essentially because each arm of its Oath unit have failed to live up to expectations. And, things may get worse before they get better for AOL and Yahoo. Not only are Walt Disney (NYSE:DIS) shares up a scant 4.8% since the end of 2018, they’re trading right where they were in July of 2015, as investors question the strength of its future. The reboot of Star Wars movies, the steady flow of Marvel movies that will wind down a story line that consists of more than 20 films and the acquisition of most of Fox was supposed to serve as a growth engine for years to come. Broadly speaking though, every new profit center Disney has put in place has been offset by headwinds on other front. 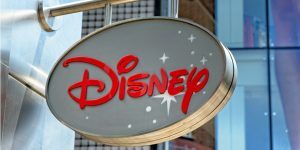 Disney is struggling on the small screen, competing with a very formidable Netflix (NASDAQ:NFLX) while it fights a losing battle with its ESPN property. The company is hardly on its last legs. Indeed, it can be reinvigorated with the right tweaks. Investors, however, are still waiting to see what Disney can do through 2019 and beyond. 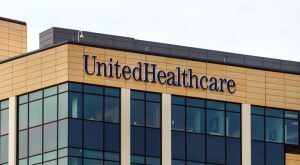 Although it arguably wasn’t supposed to, healthy insurer UnitedHealth Group (NYSE:UNH) found a way to become a growth machine in the volatility that was borne from the launch of Obamacare, and then the 2017 cancellation of it. UNH stock soared more than 400% between late 2012 and late 2018, reflecting steady sales and earnings growth. There are limits though, and UnitedHealth may have reached its technical extreme. From here it needs a good capitulation before it can renew the bigger-picture uptrend. Underscoring the market’s worries is sheer uncertainty. Clearly President Donald Trump wants to do something with healthcare, but doesn’t even want to detail his plans until after the election. Adding to that uncertainty is the chance he won’t be re-elected at all, putting the future of healthcare in the hands of just-as-undecided Democrats. 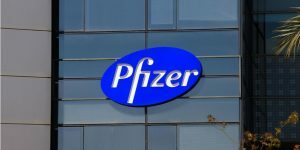 Johnson & Johnson and Merck may be a couple of poorly performing Dow Jones stocks from the same industry, but their rival Pfizer (NYSE:PFE) is doing notably worse. It’s off 0.5% year-to-date, and toying with a move to lower lows. Pfizer is facing the same basic challenges Merck and J&J are … pipeline or acquisitions? What liabilities lie ahead, particularly if the regulatory landscape of medicine changes? Where is its current portfolio vulnerable, particular to generics and biosimilars? Pfizer has arguably missed the mark in answering those questions well enough for investors though. That’s unfortunate — and perhaps a bit unfair too — as Lyrica, Ibrance and Prevnar are proving to be real powerhouses that could carry the company to and through the development of new drugs and even fully fund dealmaking. Coca-Cola (NYSE:KO) is a perennial, long-term winner for those who are willing and able to hold it for periods measured in years. In the interim though, sizable pullbacks are the norm. It’s off 1.5% year-to-date, though down 8% from November’s highs (yet up 4.5% from March’s low). The swings mostly reflect investors’ ever-changing opinion of how Coke is dealing with multiple challenges. Between tariffs, currency volatility, healthier-thinking consumers and new niche competition, the bullish argument for KO stock hasn’t always been a consistent one. Perhaps more than anything right now, however, KO stock is being held back by an unpalatable valuation. Priced at more than 21 times the coming year’s expected earnings but only projected to grow the top line at 5.5% this year, there are many, far better prospects. Finally, Walgreens Boots Alliance (NASDAQ:WBA) is the bottom-dweller in terms of this year’s performance among Dow Jones stocks. It’s down 19.5% year-to-date, though that figure actually understates its recent performance. WBA stock has actually fallen 35% from November’s high. The latest leg of the setback was inspired by a disappointing quarterly report. The stock fell more than 12% on April 2 when the company posted earnings of $1.64 per share versus expectations of $1.74. That tumble was only an extension of the selloff that took shape three months earlier though, which got rolling despite a decent quarterly print. That’s when the drugstore chain unveiled a major cost-cutting initiative that confirmed competition was mounting, offline as well as online. Article printed from InvestorPlace Media, https://investorplace.com/2019/04/10-dow-jones-stocks-holding-the-blue-chip-index-back/.